Today’s post is a follow-up to a store-bought snack list that I published last year. As dedicated as we are to eating real food and cooking meals from scratch, who doesn’t want a break from the kitchen? So here are several more of the “least-processed” store-bought snacks we could find that are great interspersed with fruits, veggies, and other whole foods. Most of these items are included on the “Supermarket Real Food Cheat Sheet,” but I thought I would take the time to highlight some of our favorites. All of these products happen to be crunchy and 100% whole-grain (or whole food in the case of the potato chips) so hopefully they will add a little “real food” variety to your pantry. But as a reminder, when you are shopping around for these items never make any decisions based solely on the “whole-grain” health-claims on the front of the package. Always (and I mean always) verify what the product is made of by reading the ingredient label on the back. In the case of crunchy snacks some of the key ingredients to look for are “whole wheat,” “whole grain,” and/or “brown rice.” If the ingredient list contains any “wheat” or “rice” it is not 100% whole-grain so keep on looking! These crackers don’t quite meet the 5-ingredient rule (which was one of our 100-day pledge rules), but they are one of the few cracker options out there made with 100% whole-wheat. So now that we don’t have to be quite as strict as we were during our real food pledge we indulge in these tasty sesame crackers often. Where to find them: I’ve found them available at most stores. I’ve actually been buying Matzo crackers for years to make one of my daughters’ most favorite breakfast dishes: Pan-Fried Matzo. So I was very pleased to learn that some brands offer a whole-wheat variety. And talk about finding the “least-processed” store-bought foods possible…these crackers only have 2 ingredients (one of them being water)! It doesn’t get much simpler than that. Aside from turning these crackers into a breakfast dish we also love to top them with goodies like pesto, goat cheese, tomatoes, pb&j, egg salad, and melted cheddar. Plus I wouldn’t want to forget to mention one of my favorite dinner dishes that we make with mashed up matzo crackers: Matzo Ball Soup. Yum! Where to find them: In Charlotte I cannot find the whole-wheat variety at Earth Fare, but they have two different brands available at Harris Teeter. I must give a blog reader credit for telling me about these chips. I researched “baked” potato chips long ago, but I must have only looked at the “Baked Lays” brand, which is a chip-like concoction made from modified food starch, sugar, soy lecithin, and dextrose (among other things). So when someone emailed to tell me how great Kettle Brand “Baked” Chips were I just assumed it was the same scenario and they’d made a mistake. You can imagine my surprise in the chip aisle when I finally got my hands on a bag and realized there was no mistake. These chips are in-fact baked and made with the same three core ingredients as the deep-fried variety: potatoes, oil, and salt. Which makes them taste much more like the real thing than the Baked Lays version. Believe it or not these chips would even be allowed on the 10-day pledge. Hooray for being able to eat chips again! Where to find them: I’ve found them available at most stores including Earth Fare, Harris Teeter and Whole Foods. Out of all the different brands and varieties of pretzels sold it blows my mind that there aren’t more “100% whole-grain” options. In fact, these Unique Sprouted 100% Whole Grain “Splits” are one of only two whole-wheat pretzels that I could even find. The other choice is from Trader Joe’s, but they contain a small amount of corn syrup and I don’t think they taste as good as the Unique brand. The problem with these “splits” though is that I used to buy them from Earth Fare and they recently stopped selling them! So I guess I have no other choice than to occasionally stock up by ordering them online because we really miss having a good store-bought whole-grain pretzel around! Where to find them: Unique carries quite a few different varieties of pretzels, but the “splits” are the only ones I’ve found that are 100% whole-grain. Aside from ordering online, I am told that you might be able to find their “splits” at The Fresh Market, Whole Foods, and/or Wegmans. Since our family has no medical reason to be eating “gluten-free” I used to skip over the rice, spelt, and other wheat-alternative crackers. It wasn’t until I created the “Supermarket Real Food Cheat Sheet” that I realized there are actually a lot of good whole-grain cracker options in that section. And when you are tired of Triscuits and desperate for something new and “exciting” brown rice crackers start to sound pretty awesome! My older daughter especially loves the pictured Tamari Brown Rice Crackers, but my husband thinks they are a little high in sodium. My 6-year-old even nicknamed them “salt crackers” if that tells you anything. So I don’t buy them every week (they are also a little pricey), but I’ve found that they are great for an occasional treat or mixed into a homemade trail mix to help spread out the saltiness and the cost! The trick is to make sure you buy crackers that list “brown rice” or “brown rice flour” as the main ingredient. Anytime rice is colored (brown, black, red, etc.) it means that it’s whole-grain! Where to find them: I’ve found them available at Earth Fare. I am sure you’ve all heard of rice cakes. Whether you are a fan or not “Brown Rice Cakes” are 100% whole-grain and therefore another great addition to this list of crunchy snacks. Just as I mentioned with the brown rice crackers, as long as the ingredient list says “brown” in front of the word rice it means they are whole-grain. We like to top these cakes with hummus or peanut butter or mix them up into a trail mix as well. They aren’t our most favorite item on this list, but again when you are craving some variety it is good to have options! Thanks for the tips! I wanted to mention another rice cracker I found at Fresh Market, Suzie’s Whole Grain Thin Cakes. The ingredients are: whole grain wheat, whole grain rice, corn, rye, barley, sea salt. 3 big square crackers are only 48 calories, so it’s a great option when you’re watching calories/carbs! I also wanted to let you know about a bread option I found. It’s great for those of us living in the Lake Norman area who can’t make it down to Great Harvest very often… the brand is Berlin Natural Bakery (www.berlinnaturalbakery.com) and I found it in the frozen section of Healthy Home Market in Davidson. The ingredients are spelt flour, water, honey, yeast, and sea salt. It tastes wonderful although it’s a little pricey! There’s also a sprouted version, same ingredients but the spelt flour is sprouted. I like it a little better than Great Harvest since each slice is only 80 calories so I can have a 2 slice sandwich and not feel like I’m loading up too much :) Just thought I’d share! As a side note, after researching spelt, I assume it still needs to say ‘whole spelt flour,’ not just ‘spelt flour.’ If something is sprouted though, wouldn’t it have to be whole? Just curious if you knew since you’ve done so much more research! Sorry to keep commenting, but just checked my actual loaf of bread instead of the website, and it says freshly stone-ground whole spelt flour – fyi for anyone shopping in Davidson! I love me some rice cakes! Great with a spoon of peanut butter before a workout or after dinner with a spreadable cheese. Trader Joe’s has some good ones too. Does that mean it’s not 100% whole wheat? Same question for shredded wheat. First ingredient on package says: Whole Grain Wheat. Does that mean it is not 100% whole wheat? Yes, that means it is whole-wheat. Wheat is one of the many different grains out there and they are using the whole-grain hence the “Whole Grain Soft White Winter Wheat” and “Whole Grain Wheat.” Wheat is one of the most confusing products to shop for (and understand!) so I hope that helps. 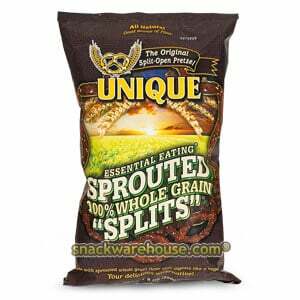 I was disappointed that Earthfare stopped carrying the sprouted pretzels as well – I LOVED them! I am probably going to order some online as well. We found them at The Fresh Market yesterday! I’m new to your site, and I’ve been enjoying bouncing around and looking at recipes–I’m very excited to try the banana bread, as I’m currently in Brazil and very easy access! I hadn’t really thought of matzah as being one of the few examples of store-bought foods with very few ingredients, but it’s certainly great for that. Have you tried topping the matzah brei (what I grew up calling the pan-fried matzah) with maple syrup? Welcome to the blog! We’ve always used jelly for the pan-fried matzo topping….but maple syrup would certainly be another good option! *have very easy access [to bananas]. Oops! Posting this to my Facebook Fan page. perfect. Thanks! nice article. :) thanks 4 the info. i’ll read more of your posts later. Great post. My wife and I have often made the same comment with regard to the pretzels. We’ve found the Unique Brands as well. There are also a few other truly whole wheat options you might be interested in: Shiloh Farms makes a great sprouted whole wheat hard pretzel with either sea salt or chia seeds – they are excellent. The great feature of the sprouted whole wheat flour is that it is much higher in protein than regular whole wheat flour and of course than of any white or “enriched flour.” (As an aside, Shiloh Farms also markets a sprouted whole wheat pasta which is very good). One other whole wheat pretzel option is B&B (which stands for Beigel & Beigel) 100% whole wheat sesame pretzel sticks. These are actually some of the best tasting pretzels I have ever had, whole wheat or otherwise. Please keep up with the excellent blog – my wife and I refer to it often for great ideas or to confirm many of our own findings as we try to raise our two young boys (2 year old and 8 month old) on real food. What i don’t understood is in reality how you are no longer actually much more well-favored than you may be right now. You’re very intelligent. You understand therefore significantly in terms of this subject, produced me individually imagine it from so many numerous angles. Its like women and men aren’t interested unless it is something to do with Lady gaga! Your individual stuffs great. All the time take care of it up! Someone necessarily help to make seriously posts I’d state. That is the first time I frequented your website page and so far? I amazed with the research you made to make this particular put up amazing. Wonderful job! 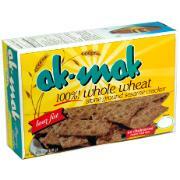 I LOVE Ak-Mak crackers! My favorite way to eat them is topped with avocado slices and chipotle hot sauce! Would you please do a Best Store Bought Real Food Items III? It could include the brown rice puff cereal, whole wheat graham crackers, whole wheat bread crumbs, approved mayo, Multi seed crackers, ect. Having all of these items and more would be oh so helpful since the first tow lists were much appreciated. Thank you for providing such useful information! What do you think about this? What is the reason for having oat flour AND BRAN instead of just having whole oat flour? It also has blue agave syrup? Do pretzels usually have a sweetener? I am SO NEW to this and absolutely LOVE your blog and website! I was just researching “chips” on your site and see where you have the Lundgren rice cakes. 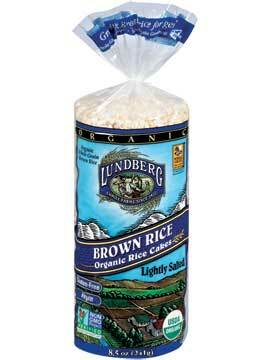 How about the Lundgren brown rice chips? I have finally got my kids eating them and I love them too so I am hoping they qualify. My family of four is taking the plunge with the 10-day challenge. Thanks for your inspiration and hard work! I am not familiar with those chips, I think it would depend on the oil and how they are made (baked or fried). Also, you said they are “brown rice” chips, which sounds whole-grain but I would check the label to see if they are 100% whole-grain. Yesterday I purchased whole wheat pretzels from Trader Joe’s for the first time. I was in a rush, so I didn’t stress too much over ingredients since it is TJ’s, and they generally don’t carry products with HFCS, and hydrogenated oils. When I got home, I read the ingredients on the pretzels and was SO bummed to see corn syrup listed! I have never come across this before at Trader Joe’s. Are there many items there that I need to “watch out” for?? Of course, I know they have items with sugar, or more than 5 ingredients, but was really surprised about the corn syrup! Yes, I know what pretzels you are talking about and they do in fact contain corn syrup. To be honest though (and I know people will probably try to argue with me on this), the bottom line is that “sugar is sugar” whether it’s corn syrup, white sugar, brown sugar, raw sugar, maple syrup or honey…and the part that really matters is the quantity in which it is consumed. So my recommendation is to just focus on keeping overall “added sugar” consumption down and avoiding the artificial stuff. Hope that helps! First of all I love your blog, we have been following most of the rules and making your recipes for almost two months now. We are still working on the eggs and meat, which has been challenging! I am always searching the store for quick items that fit into the rules, to save some time and so I don’t cheat and eat something I shouldn’t. I found these bars in the produce section at the grocery store. They are not organic and the cranberry one has oil in it so that flavor is out but they seemed to follow the rules. Thoughts? I think these chips fall into the ok category? They are tasty! As I am new to this site and looking around, I found the list for snacks at the supermarket. Is it a combination of cutting out processed foods and incorporating organics wherever possible…. But not everything is organic? I am just curious, as I saw triscuits in the list. Spelt is NOT a gluten-free grain. It’s relatively low in gluten compared to modern wheat, but definitely on the no-no list for celiacs and gluten intolerant folks. I LOVE spelt.. it, in a nut shell, is what wheat used to be before they started doing decades of selective breeding and tinkering with it. I recently found that I may have developed celiac and am having to go on gluten-free diet to see if that is the problem. The only thing I’m really heartbroken about having to give up is my homemade honey spelt bread! How about the “Simply” line of Lays products? I just saw the Simply Tostitos bag and it only has 3 ingredients: Organic Blue Corn, Expeller-Pressed Sunflower Oil and Sea Salt. Would this even be acceptable under the 10 day pledge? Under Kelly’s post…Expeller-Pressed Sunflower Oil? Can you tell me how that makes it refined? What is the real food criteria for oils? Expeller pressed does not use chemicals (similar to cold pressed), I don’t believe. I wonder if the chips are fried, so they are not allowed. But my question is about the oil. Does anyone know where to find whole wheat graham crackers? FYI. 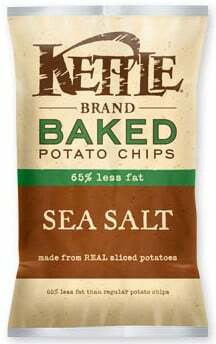 I found the Kettle brand chips in the Health Market isle of our local Hy-Vee. Has anyone been able to find a real food alternative to Saltine crackers? I’m having a hard time finding something to serve with soup. Hi Emily. 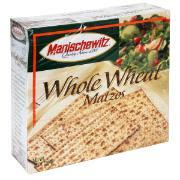 Ak Mak or whole wheat Matzo are good in soups. 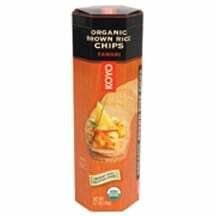 Back to Nature organic Classic Saltine Crackers are very good! Eating the snacks listed above is a great deal healthier than most of the products out there but most of them have processed oils that are bad for your body such as safflower and/or sunflower and/or canola oil. Unprocessed oils cost more but I would be willing to pay more for a healthy packaged snack. Canadian here and new to whole foods eating. We havnt been able to find a brown rice pasta anywhere! Whole grain pasta upsets my husbands digestion (I think it’s the gluten) but all the gluten free options we’ve found have white rice flour as the first ingredient! Any ideas?